A sort of wolf in sheep’s clothing . 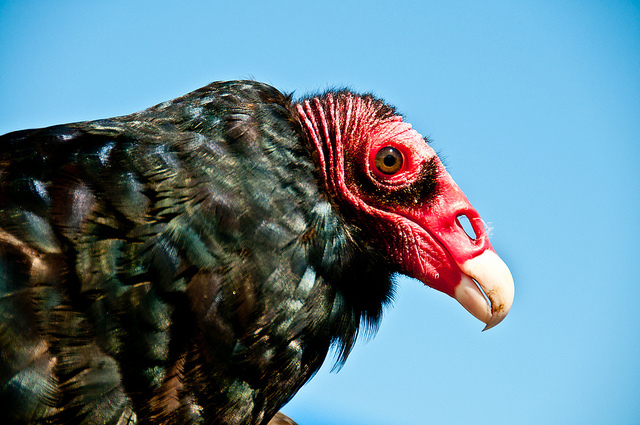 . .
Zone-tailed Hawks of the American Southwest look a lot like Turkey Vultures. 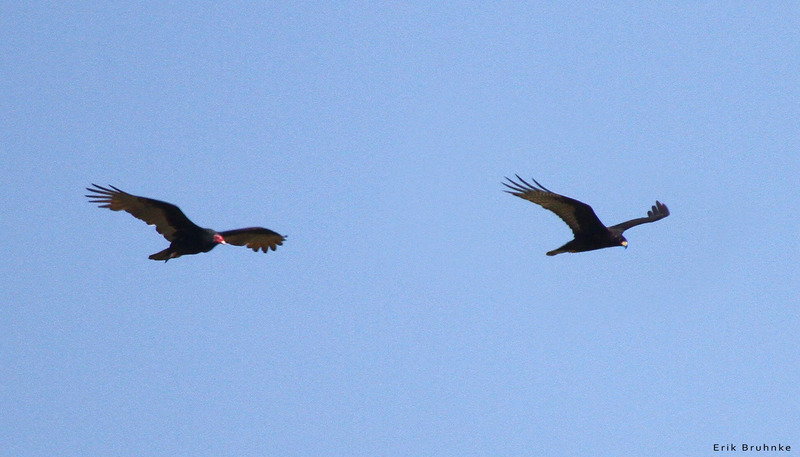 And they often soar among groups of Turkey Vultures. By consorting with vultures, Zone-tailed Hawks gain a distinct advantage as predators. While doves and lizards would quickly flee the flight silhouette of a Red-tailed Hawk, they seem to ignore the shadow of a vulture overhead. So floating among the vultures, Zone-tailed Hawks can sneak up on their prey undetected. Zone-tailed Hawk: A Vulture Mimic? The Zone-tailed Hawk of the American Southwest looks a lot like a Turkey Vulture. It’s dark all over, has a long tail, and soars on long, upward angled wings while tilting from side to side. And – this is where it gets intriguing – Zone-tailed Hawks often soar among groups of Turkey Vultures. But there’s a crucial distinction between the two, especially if you happen to be a dove or lizard exposed on the terrain below. While the vultures are searching for carrion, the Zone-tailed Hawk in their midst is hunting live prey. By consorting with vultures, a Zone-tailed Hawk gains a distinct advantage as a predator. Because while doves and lizards would quickly flee the flight silhouette of a Red-tailed Hawk, they seem to ignore the shadow of a vulture overhead, a bird that poses no threat. So floating among the vultures, a Zone-tailed Hawk is a sort of wolf in sheep’s clothing – and can sneak up on its prey undetected. 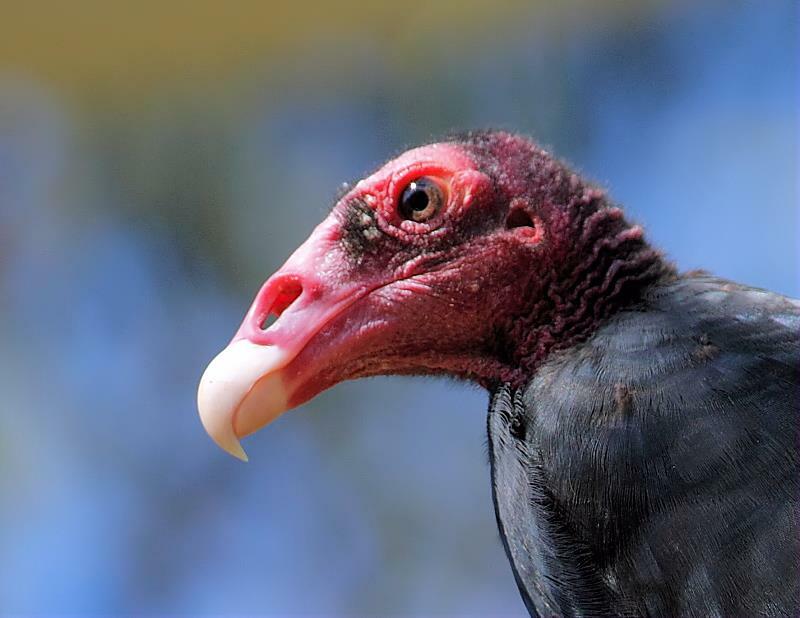 Just how Zone-tailed Hawks developed this relationship with Turkey Vultures isn’t clear. But we do know that Zone-tails occur only within the geographic range of vultures. And they don’t just soar with them – they also nest and roost near their scavenging accomplices. Bird sounds provided by The Macaulay Library of Natural Sounds at the Cornell Lab of Ornithology, Ithaca, New York. 140253 Recorded by Gerrit Vyn.